Reaching new audiences with your website or blog is important. The only way you can sustain such projects is to make sure that people are seeing your efforts. The most important and longest-lasting endeavour a brand can accomplish on this front relates to search engine optimization. While paid search advertising and social media can both provide short-term benefits, neither possess the inherent power that direct traffic organically driven from search provides. Below, we’ll talk about the main components of SEO and why you need to utilize them in any brand effort. 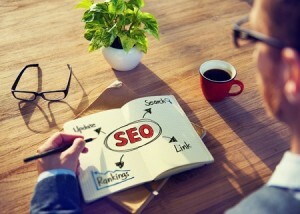 In order to determine how best to implement SEO, you must first know where to begin. Keyword research will help give you the power to target specific search results for maximum effect. Google Keyword Planner is the most popular keyword research solution. Pinging links that target the keywords found using tools like this will maximize efforts over the long-run and ensure you are competing in realistic search engine keywords. It is necessary to format various elements of your site to accommodate SEO. On-site SEO specifically revolves around crafting appropriate page titles, meta descriptions, URL structures and content. This helps further efforts relating to keyword research and makes search engines naturally find your site relevant to select search queries. For many brands, there is a local component to what they offer. If this applies to you, then using Google Plus in combination with local targeting efforts can boost overall SEO results. Google Plus business profiles can be infused with local keyword targeting to help your brand or business appear more prominently in select local results. This makes it much easier to reach audiences in less targeted search results. Whether your primary focus is a blog or an e-commerce website, having a blog element to your site is an essential component of SEO. This allows brands of all shapes and sizes to more adequately produce relevant content for their audiences. Since a huge part of SEO revolves around pinging links to search engines that feature relevant content, this may be the most important way to boost overall link generation and search engine saturation. Your website must be mobile-friendly, or else SEO efforts will fall flat! With a majority of search traffic coming from mobile devices now, search engines have begun to penalize websites that do not provide mobile-friendly pages. A responsive design is key to pleasing search engines in this regard, which helps make your page viewable and usable across all devices. Social media does not directly build SEO clout, but what it does help with is generating buzz for your brand and exposing it to new people. As more and more people see each piece of blog or web-based content you create on social media, more and more people are likely to share. Each impression made is an opportunity for a link to be created elsewhere. This inevitably helps build more links that search engines will then analyse and index, and it also is a great way to simply boost traffic at the same time.